An oracular companion who speaks in the tongues of poetry and calls the seeker to action. For the lifting of veils, the unearthing of sight, the catalyzing of intention. In these pages, may the blazing way be seen. NOW AVAILABLE: Mineralis: Stories of a spirit unfixed; women worth freeing; mountainous divulgence; menstruation. A collection of five pieces in a 48-page zine format + embroidered serpent signet SRW patch. Co-presented by In Solace Publishing and Snakeroot Works. Based in the Bay Area, Patricia Cram is a writer, editor and multi-disciplinarian with a rich history of involvement defining the thresholds of form and thought-provocation. Her academic work has focused on comparative literature and the crossroads of politics and mythology. She has collaborated on projects with notable publishers: Three Hands Press, Scarlet Imprint, Cold Spring Records, Utech Records, Neurot Recordings and The Flenser. "Times like these or otherwise, find your true thing and do it. Minute poured into minute, I keep learning, is the only way." 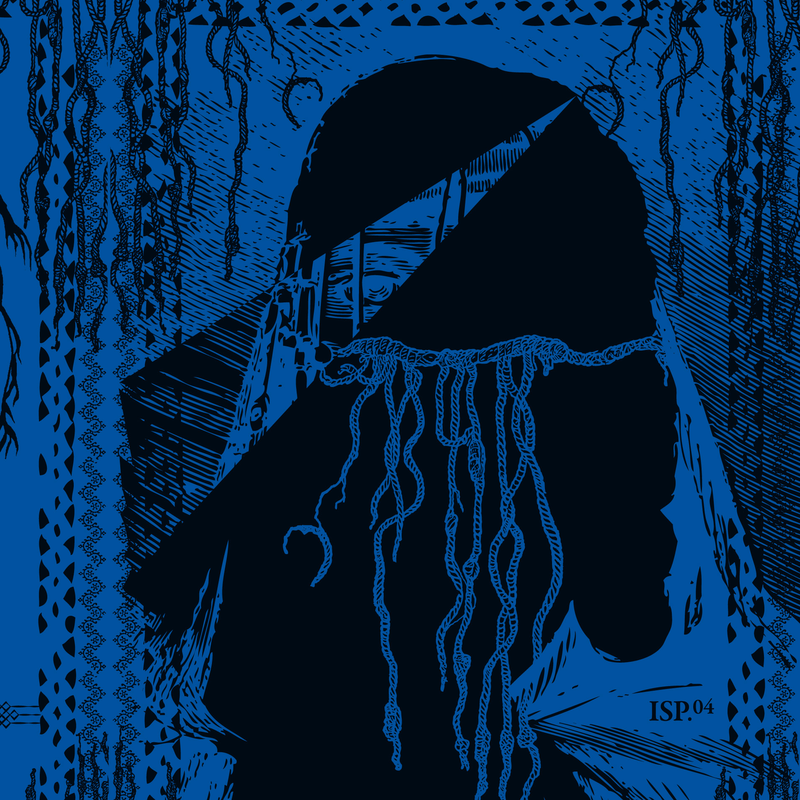 NOW AVAILABLE: Hissing and Sutekh Hexen are two of the murkiest, most cacophonous groups operating in the margins of experimental and extreme electronic music and the contemporary black and death metal underground respectively. Now, these hellish projects have come together for a split release. Since 2008 Sutekh Hexen have turned the paradigm of black metal completely on its ear. The group can be described as a dense tapestry of black noise, or a wall of intricate tones deconstructing itself brick by brick. Their rich, unparalleled compositions cultivate further interest with each listen. With an already impressive back-catalog showcasing their evolution, 'Pareidolian' is a logical step forward. Founded in 2014 out of a mutual interest in exploring deranged and punishing sounds, Seattle’s Hissing is often described as “blackened sludge.” This descriptor does little justice describing the harsh, dissonant soundscapes created by this trio. To date they have released two EPs through Disorder Recordings and Southern Lord, and have a full-length forthcoming. Limited edition cassette of 100 copies. Mastered by James Plotkin. Cover painting commissioned from Timo Ketola. Visionary text by Patricia Cram. Design by Kevin Gan Yuen. Pro-duplicated tapes, Pantone 877 printing on black shells + CMYK 4-panel jcards by Milwaukee Cassette Works. Sutekh Hexen/Hissing 'split' is also released on vinyl and digital formats via The Flenser on October 6th. NOW AVAILABLE: Spain's cryptic collective Black Earth continues the path laid down by 2014's well received "A Cryptic Howl of Morbid Truth" cassette (Graceless Recordings). "Diagrams of a Hidden Order" presents us with three tracks showcasing their turbulent strain of blackened noise, that stretches the boundaries of black metal, death metal and dark ambient respectively, thus amplifying these genres into darker territory few have explored. Within the turbulence of chaos and bleakness, there exists fleeting form and (un)structure that is shattered and rebuilt over and over again; measured percussion, whispered incantations, and sudden outbursts of unseen violence. A truly potent alchemical document in practice. Limited cassette edition of 100 hand-numbered copies, pro-pressed tapes packaged in uncoated black-stock Bradpaks (Stumptown Printers), letter-pressed in Pantone 877 (metallic silver), including a fold-out poster designed by Kevin Gan Yuen (Sutekh Hexen) and sealed in anti-static sleeves. Also available: CD edition in 4 panel digipak, limited 500 copies from Malignant Records (Infect18), available July 1st. Our inaugural release is now available for purchase in the shop section today along with an album description and a streaming excerpt. In Solace Publishing is an independent publisher of distinctive releases. Through curation that aims for timelessness, we work with visionary creators in manifesting sophisticated documents. Demo submissions are encouraged, though timely responses cannot be guaranteed. All inquiries (including wholesale and trade) may be sent to: info@insolacepublishing.org.